Pendant lights or Cluster Pendant lights like above, give a room plenty of light but they are also statement making pieces of art. 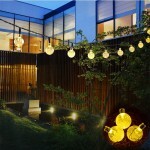 Here are some ideas to help you decorate your home with these beautiful lights. 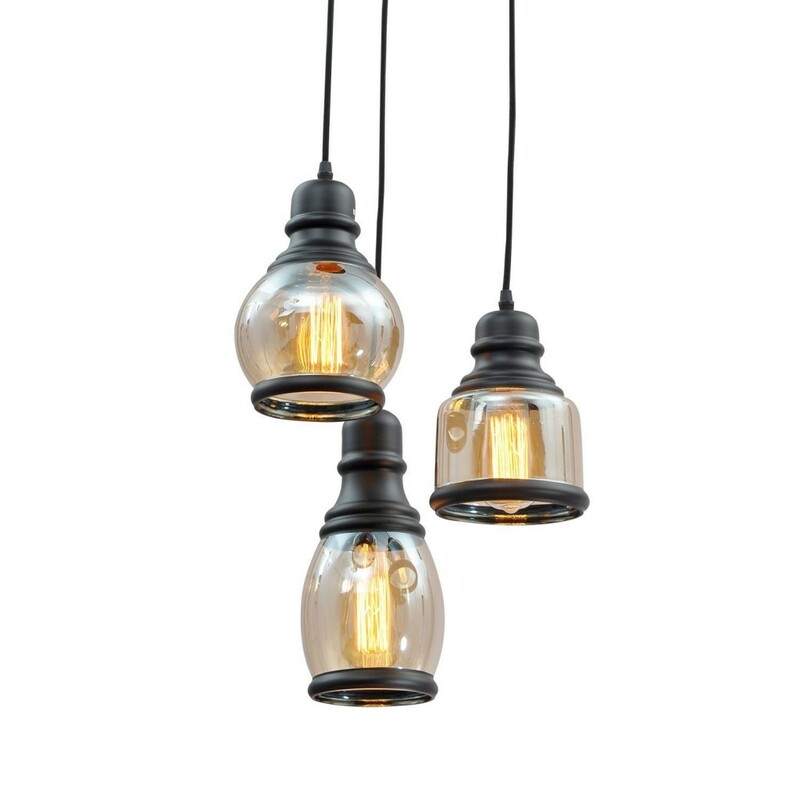 Unitary Brand Antique Black Shade Glass Jar Pendant Light – click on picture for more info. 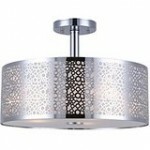 Any interior designer will tell you that lighting can add elegance and set a mood to any room. The shadows that light casts can add depth to the room’s design. You want to choose your pendant lights mainly for the type of lighting you need in a room. You may need one bright, focused light in a kitchen, for example, to cook with accuracy. You might need a few others to add softer lighting to the kitchen in areas where people dine or mingle. Task lighting is a type of lighting you need. Decorative lighting is a type of lighting you want. Decide which areas of your home need task lighting when setting out to buy pendant lights. Choose lights that offer focused, clear, bright light for these areas. 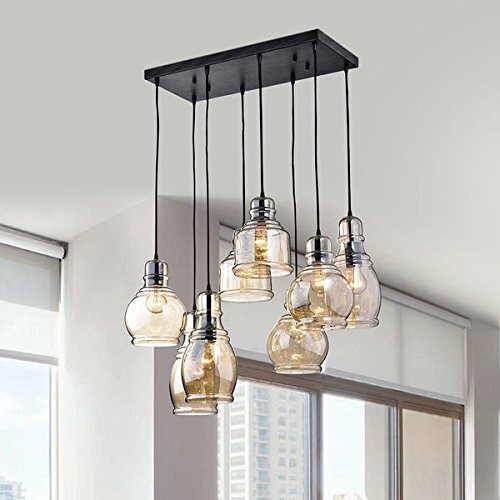 The rest of your pendant lights can be as decorative as you want them to be. Task pendants can be as decorative as you want them to be. They do not have to be all work and no play. Be careful when buying open bottomed lights. If paired with strong light bulbs they can create harsh spotlights that can be distracting rather than pleasing to the eye. For larger spaces, consider using a row of pendant lights across your ceiling. This provides more of an even glow than one single, big light can give. 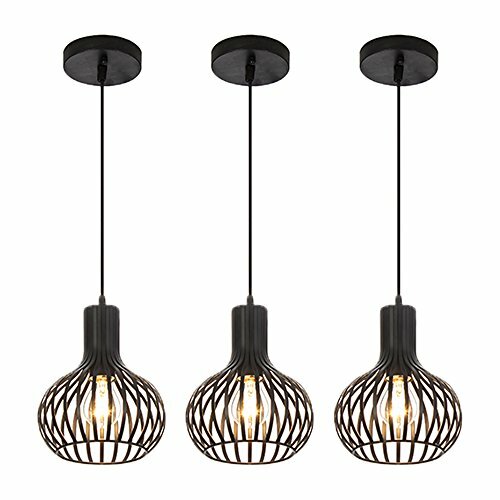 POPILION 3-Pack Modern Black Industrial Foyer Pendant Light – click on picture for more info. As for decorative lights, pendants work differently than accent lights do. If you have an area of a room or a texture on your kitchen island that you want the lighting to highlight, pendant lighting can add the right amount of brightness to show these features off. Small, pinpoint type pendants are especially good for this purpose. Pendant styles are available in any decorative color, shape or material you can imagine. Feel free to add modern lights to an old-fashioned kitchen. Or, add antique-styled pendant lights to a modern kitchen. Feel free to use contrasting styles to add more visual appeal. For pendants that you will be hanging together, try using different sizes or finishes so you can have even more contrast. Do you already have certain types of lighting in your kitchen? Will you be replacing them with pendants? If you have lots of windows in any room where you are choosing to hang pendants remember that more lighting may not be needed during the day. 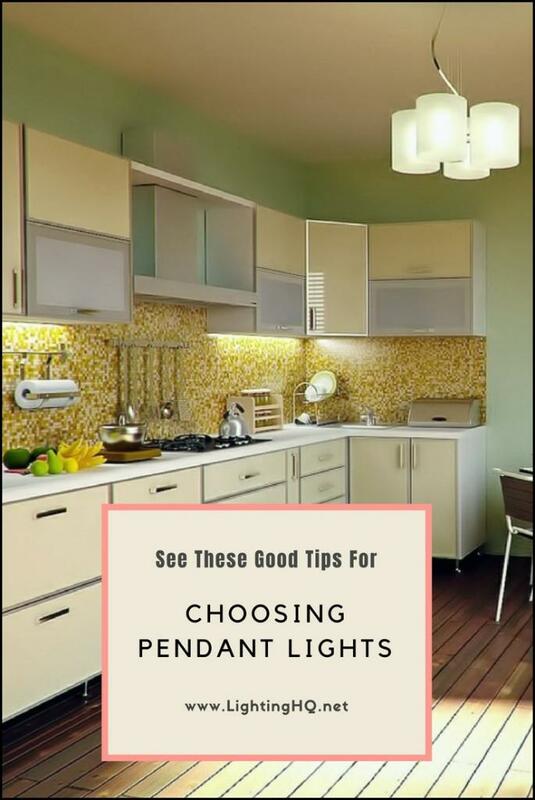 Choose the pendants based on how much lighting you really need both day and night for tasks. For more help in choosing the best finishes and styles for you, get inspiration from cabinet hardware or tiles. Play off these using similar looking lamps. There are endless ideas for you when it comes to pendant lights. 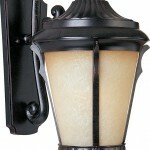 You can see more of these lights here and you will find plenty of styles that will offer your home function and style.